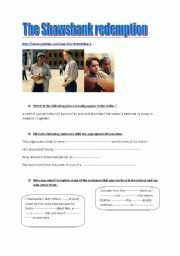 This is a short worksheet about the Elizabethan theatre, built from a video (link included) of Youtube. the pupils have to fill in the blanks. I worked on the film The rabbit proof fence with 16 year old pupils. It took some time, but it was interesting. 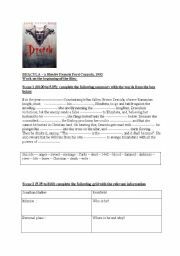 This is a worksheet focusing on the first three scenes from the film Dracula by F.F. Coppola. It focuses on oral comprehension, but also on the analysis of the scenes, and of the "vampire" story (atmosphere, characteristics..). It is part of my sequence on vampires, with the other documents downloaded separately. Answer key is included. This is a ws about Alcatras prison which I use as an introduction to a sequence on prison. It�s mostly a listening activity, trying to get the essential information. Hope you like it. 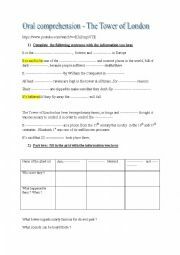 This is a worksheet aimed at making the pupils look for information on the net; organising a trip to London (flight, hotel, underground tickets, visits) with a given budget. They have to recap all the information thay have found in the last part of the ws. 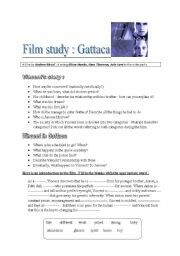 This is a simple worksheet to work on the film "Gattaca"; it contains questions and a short text to complete. Hi ! 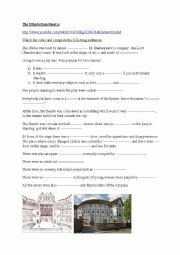 This is a worksheet about the Tower of London and its ghosts; it is an oral comprehension based on a video document I found on the web. Key is included. Enjoy ! Hi This is a slideshow I made as an introduction to a study of "Lord of the Flies". 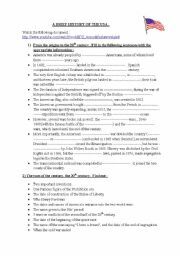 It�s about the evolution of the topic in English literature. 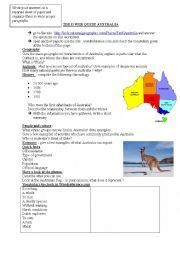 Hello, this is a powerpoint I made to introduce the topic "desert island". 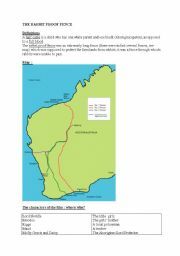 I want to male the pupils work on one episode of the series "lost" so I thought it would be a good idea to start with this presentation.However, it can be used for any lesson related to the topic. This is a very short presentation to make the pupils guess the subject of the sequence - which is.. vampires :) It�s the first time I�m malking a powerpoint so it may look really basic, but I do hope to get the pupils to talk thanks to it. I �ll download the other ws on the same topic separately.